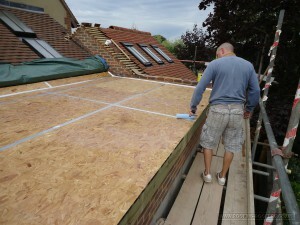 New Extension roof involving felt, battening, tiling, leadwork and the sealoflex flat roof system. 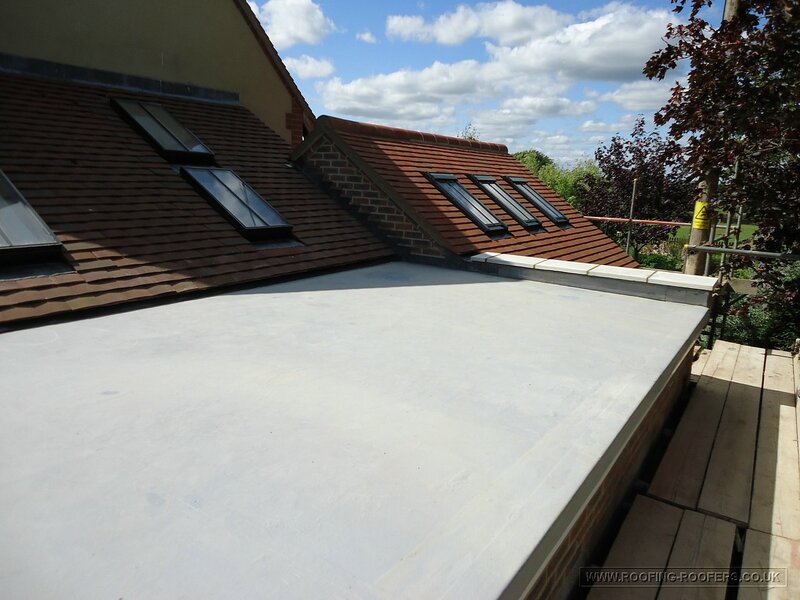 This new flat roof extension is a single ply membrane called Sealoflex, it is a reinforced synthetic rubber. All the joints are taped and then a sealing primer is applied to prevent the liquid from seeping and soaking too much into the boards. Finishing off the sealing primer ensuring the edges are properly coated. 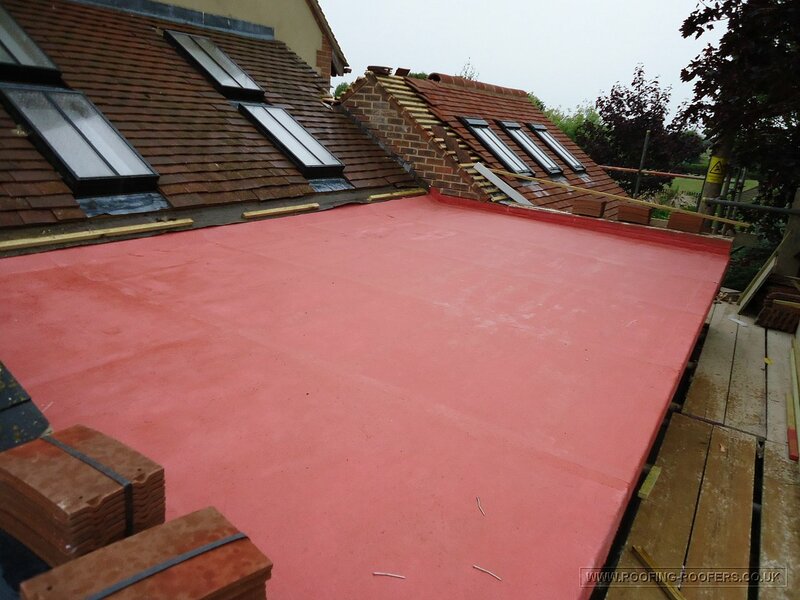 A pink base coat is applied with a polyester reinforced membrane put into it then allowed to dry. 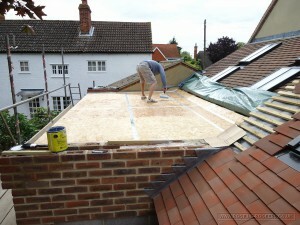 From this image you can also see the extensive roof work that I was involved with on this project. A top coat which is UV resistant grey in colour is applied. This is a very good product as the life expectancy can be extended by an application of a maintenance coat. 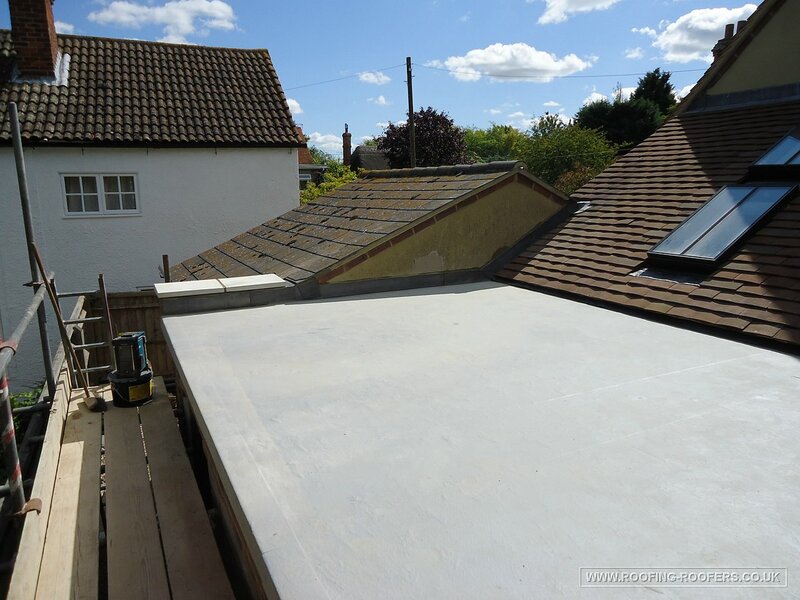 This is also cold applied so no heat or flame is required. 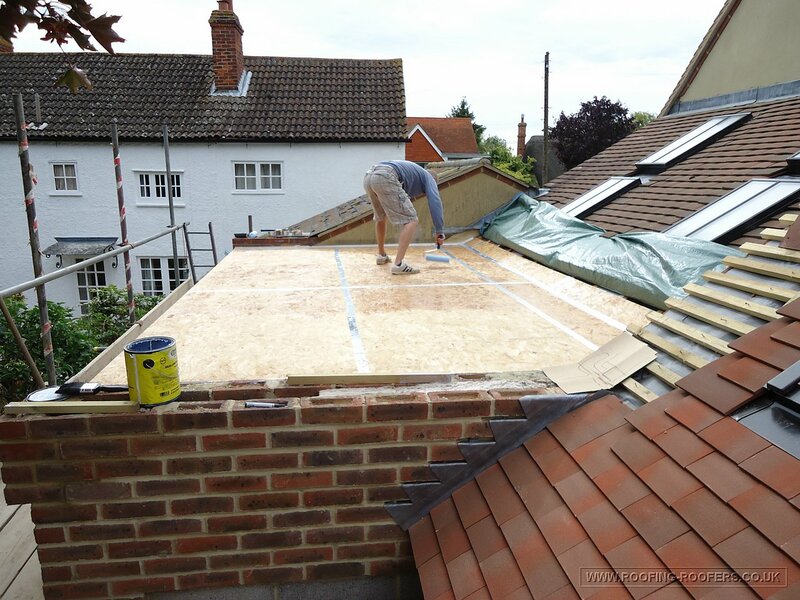 View 1 of the finished roof.